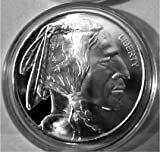 Inspired by the the highly prized Buffalo or Indian Head Nickel, its design is easily recognized by dealers and collectors around the world. Gold & Silver in Japan is a Much Different Story. Stéphane Bullion & Maria Riccarda Wesseling Orphée et Eurydice Chorégraphie Pina Bausch Musique Christoph W. Gluck Ballet de l’Opéra de Paris, 2012.